The first time Kathleen Scott was diagnosed with breast cancer, she and her husband Jack were devastated. The second time, they were just plain angry. It was 2012, four years after Kathleen’s first cancer diagnoses. She and Jack were taking care of her mom’s estate. They were also selling their own house in Arlington, Wash., and remodeling one in Everett. The day after they moved into the new home, Kathleen had surgery. Plus, it’s fun. “They let us color outside the lines,” she jokes. Kathleen’s favorite medium is a toss-up between glass and paper. She also likes taking used, broken or tattered objects and creating a collage. She’s a self-proclaimed “Mod Podge junkie.” “The program has introduced me to different techniques,” Kathleen says. The Expressive Art Therapy group at the Providence Regional Cancer Partnership in Everett, Wash., offers participants a safe environment to navigate their emotional recovery while expressing themselves through creative projects. It’s free to patients, survivors and their families. Each week, the group is given a theme, task or specific material to work with in group. Some weeks the focus is on processing cancer-related issues. Other weeks the focus may be on collaboration and support. The group might work in watercolor paints one week, then make collages, dye silk scarves or make garden art other weeks. “But it’s not an art class,” says Kathryn Johnson, Ph.D., clinical psychologist, art therapist and medical director of psycho-social services at the cancer partnership. She’s also the art therapy group facilitator. “The idea is to give patients a place to express their thoughts and at the same time, create something tangible,” she says. There are two different approaches within the field of art therapy: art as therapy and art psychotherapy. Art as therapy takes the approach that art-making is therapeutic and life enhancing. Art psychotherapy uses art as symbolic communication. It can greatly enhance a patient’s ability to express thoughts and feelings to a therapist. But the process can be joyful, too. “In fact, there’s more laughter than tears in our groups,” adds Dr. Johnson. When the Expressive Art Therapy group debuted 10 years ago, no more than four people showed up for group. Now, as many as 22 people may gather in the art room. This could be attributed to the fact that art therapy is accepted by more people as “mainstream” therapy. “It’s not seen as a fringe treatment anymore,” says Dr. Johnson, who has been working in the field for nearly 25 years. Although talking isn’t a requirement, members of the group are regularly given a chance to share their thoughts and emotions. But some people use their art to speak for them. Kathleen isn’t opposed to the “talking part” of class, but it’s hard for her to speak openly about her emotions in a group setting. On the days they form a circle, Kathleen is compelled to turn her chair around so the back support is facing the inner circle. She leans against it, as if it were a protective shield. Still, she understands that talking about emotions and fears are an important part of the process for many in the room. “I am totally grateful that it’s there for people who need it,” she says. Thursday is Kathleen’s favorite day of the week because it’s the day she goes to art therapy. “That’s my social day,” she says. Even if she’s not in the mood to make art, she’ll go for the companionship and to watch and listen to her friends. She’s made many over the years; some of them meet outside the group as well. Kathleen says they provide a special kind of support that comes from their shared experiences of dealing with cancer. June 2017 marks the 10-year anniversary of the Expressive Art Therapy group and the Providence Regional Cancer Partnership. 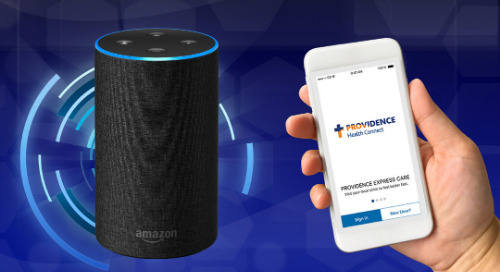 In 2007, Providence Regional Medical Center Everett, The Everett Clinic, Western Washington Medical Group and Northwest Washington Radiology Oncology Associates joined forces to form the Providence Regional Cancer Partnership. This unique partnership offers seamless outpatient cancer care under one roof. In addition to chemotherapy, radiation oncology and clinical research, the partnership provides integrative medicine and counseling. To learn more about Providence Regional Cancer Partnership and the Expressive Art Therapy group, visit their website. Providence offers art therapy in other regions, as well. To find a group in your area, ask your Providence provider or visit our interstate directory. Our Oregon and Southwest Washington medical group also offer a robust suite of cancer support services. Click here for details.